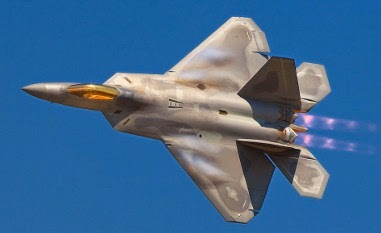 The news that the U.S. Air Force, joined at long last by some of the Arab nations most threatened by the Islamic State (ISIS), began bombing their headquarters and military sites in Syria was long overdue, but welcome. It took time because Obama had originally dismissed ISIS as a threat. It no doubt took time to get Jordan, the United Arab Emirates, Bahrain, and Saudi Arabia to team with the U.S., but missing from the action is Turkey that borders Syria and Egypt. Turkey has become increasingly Islamist, but appears determined to stay out of the war with ISIS. By initially refusing to provide arms to Egypt, Obama drove it into the waiting arms of the Soviet Union, but has since reversed its policy and is seeking to woe Egypt back as an ally. 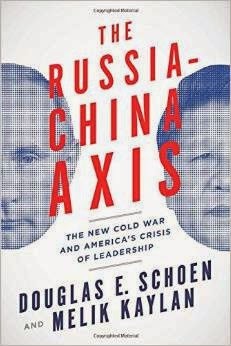 Obama’s combination of ideology and ignorance is analyzed in an extraordinary book by Douglas E. Schoen and Melik Kaylan, “The Russia-China Axis: The New Cold War and America’s Crisis of Leadership.” It provides a fact-filled look at his failure to provide leadership to a nation that other nations have looked to for leadership and protection since the end of World War II. Indeed, in addition to the ISIS videos of Americans and others being beheaded, it has taken the outspoken criticism of retired U.S. generals to mobilize public opinion to support a return to the battlefield. It is a battlefield that Obama has fled at every opportunity, pulling out all of our troops from Iraq and planning to do the same in Afghanistan. Hey, welcome little brother @BadBlueSports to the fold! Visit http://t.co/lHvCvt8Ms6 for real-time sporting news, friends! 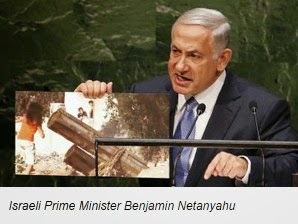 Israeli Prime Minister Benjamin Netanyahu chose not to let President Obama's bold allegation that Israelis were not interested in peace go unanswered in his speech Monday at the UN. "Brazen lies spoken from this very podium against my country" is how Netanyahu described the remarks of previous speakers, when he addressed the U.N. General Assembly. Just five days earlier, President Obama had made a shocking assertion in his role as president while speaking on the world stage. He claimed that there were "too many Israelis ready to abandon the hard work of peace." Obama scolded: "that's something worthy of reflection within Israel." Not only did President Obama not include Palestinians in this demeaning and defamatory slur, he proceeded to equate "rockets fired at innocent Israelis" with "Palestinian children taken from us in Gaza." Not "taken from us" by Hamas who used them as human fodder in their attempted annihilation of Israel. But apparently "taken from us" by those Israelis not interested in peace. No Israeli Prime Minister could allow such an attack to go unanswered. And so Netanyahu began his remarks by daring President Obama to distinguish between his battle against ISIS and Israel's battle with Hamas. Today's Larwyn's Linx sponsored by: Stop the Obamacare Six! QOTD: "President Barack Obama's intelligence briefings have provided him with specific information since before he won re-election in 2012 about the growing threat of the terror group now known alternatively as ISIS and ISIL, an administration insider told MailOnline on Monday. Last year, Seedco received $1.2 million for the same services in Tennessee. As reported, the federal government sued Seedco on the grounds it faked at least 1,400 of 6,500 job placements under a $22.2 million federally funded contract with New York City. 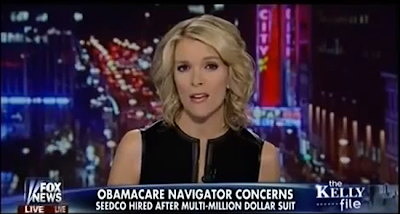 Seedco, according to National Review, had to settle that lawsuit. Meanwhile, state Comptroller Justin Wilson reported last year certain Memphis residents participating in the Temporary Assistance For Needy Families program falsified paperwork and wrongly received almost $30,000 in taxpayer money through a Seedco subcontractor. Alicia Hartinger, spokeswoman for the federal Centers for Medicare and Medicaid Services, which oversees the navigator program, said Friday the $1.4 million is for a 12-month cycle. Seedco, Hartinger added, had to compete for the money against other potential navigators, although she didn’t say how many. Hartinger downplayed concerns about Seedco’s past problems. Spotted at Cryptome, see if any of these ring a bell with our beloved Golfer-in-Chief. These rules are generally used more directly by those at the leadership, key players, or planning level of the criminal conspiracy or conspiracy to cover up. War On Terror: The Islamic State's call for "lone wolf" attacks on Western infidels might have met its match in the Second Amendment, as an armed man saves lives by shooting a jihadist wannabe bent on heeding that call. 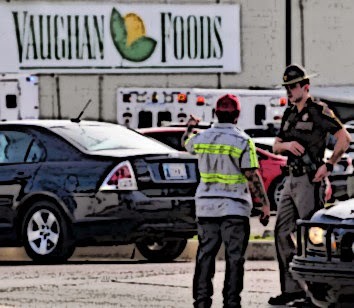 Vaughan Foods employee Traci Johnson is alive today because the business she works for is not a gun-free zone at a time when the Islamic State is encouraging attacks on infidels in the West like the one in Moore, Okla., where co-worker Colleen Hufford was stabbed and beheaded. The alleged attacker, 30-year-old Alton Nolen, was stopped as he was stabbing and preparing to behead Johnson by Mark Vaughan, the food distributor's chief operating officer. Vaughn, who is also a reserve county deputy, drew the gun he was carrying and stopped Nolen, police say, before he could claim more victims. "This was not going to stop if he (Vaughan) did not stop it," Moore Police Sgt. Jeremy Lewis told the media. Some will claim this is more "workplace violence" — a phrase used by the Obama administration to describe the carnage left by Maj. Nidal Hassan at Ft. 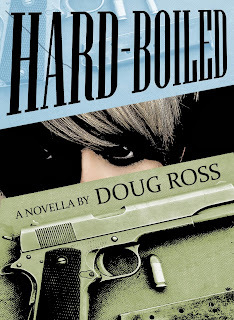 Hood — the work of a disgruntled ex-employee with no significance beyond that. 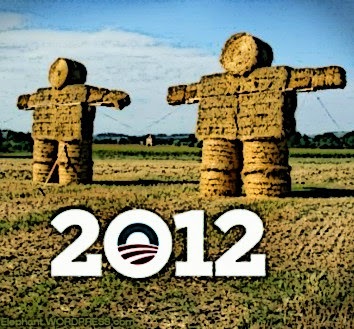 But the similarities are eerie and may indicate the shape of a new threat we face. 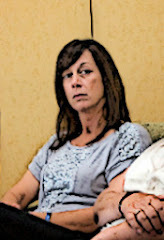 Larwyn's Linx: Obama: the CIA assured me they were JVs! QOTD: "The president has been telling us for years that he handled al-Qaeda by killing bin Laden. He has been telling us for weeks that the Islamic State — an al-Qaeda renegade that will soon reconcile with the mother ship for the greater good of unity in the anti-American jihad — is a regional nuisance that posed no threat to the United States. In recent days, however, reality intruded on this fiction. Suddenly, tens of thousands of terrorists, armed to the teeth, were demolishing American-trained armies, beheading American journalists, and threatening American targets. President Obama's approval ratings keep dropping, no reliable poll shows battleground Senate Democrats with over 50% support, and GOP voters are excited to cast their ballots in 37 days. The midterm environment is toxic for Democrats, yet there's a chance Republicans may not take the Senate. Why? Could it be that you and the rest of the Republican ruling class are completely out of touch with the grass roots? That you went to war with your own base? That you decimated any unity between the conservative and establishment wings of the party? And for what: to keep your incumbent protection racket going for mouth-breathers like Thad Cochran and Pat Roberts? The Democrats have a huge money advantage. Last month alone, Democrats outraised Republicans by $1.6 million dollars. They intend to outspend Republicans between Labor Day and Election Day, having bought $109 MILLION in television ads already, compared to $85 million for GOP candidates and their allies so far. Democrats, Harry Reid's PAC, and liberal interest groups are launching hundreds of attack ads in Alaska, Arkansas, Colorado, Iowa, Louisiana, and North Carolina - key states in the fight for the Senate. So now you're worried that your strategy of attacking conservatives might be, eh, suicidal? A tad late, Dr. Whiteboard! It's not just an issue of terrorists wandering into the U.S., it's a range of health hazards thought long ago conquered domestically. It's a word you don't hear too often around Arizona: plague. But some fleas in northern Arizona have tested positive for plague and that has people on high alert. Plague can be deadly to people and animals, but if found early on, it's very treatable with antibiotics. That being said, residents of Coconino County should be looking out for fleas... Fleas with plague were discovered in prairie dog burrows northeast of Flagstaff in the Doney Park area. 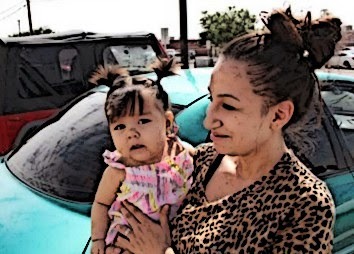 Five babies have tested positive for tuberculosis infection in El Paso after being at a hospital where hundreds of newborns may have been exposed to TB by a diseased worker at the facility, health officials said on Saturday. The El Paso Department of Public Health also increased the number of people who may have been exposed to 858. It had said earlier this month that 706 babies and 43 employees were possibly exposed to the infected worker between September 2013 and August 2014. And, by all means, let's not inquire into the immigration status of the "infected worker", because that would be profiling and nativist. Right, Jeb Bush? Attorney General Eric Holder, the first attorney general in history to be held in contempt by the House of Representatives, surprised the political world today when he announced he would be resigning, effective on the confirmation of his successor. Holder will leave a troubled legacy and many unanswered questions as John Fund and I discovered when we were researching our new book, “Obama’s Enforcer: Eric Holder’s Justice Department.” The Justice Department veterans we talked to said that Holder has politicized the Department to an unprecedented degree, which should concern everyone who cares about the rule of law. 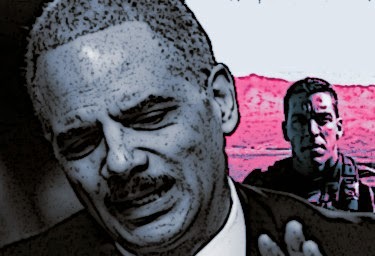 So what are the top seven worst actions by Eric Holder? 1. Operation Fast and Furious, probably the most reckless law enforcement operation ever carried out by the Justice Department. This gun-running scandal led directly to the death of an American border agent and many Mexican citizens. Holder was held in contempt because of his refusal to turn over information and documentation about this operation gone wrong that he basically claimed he knew nothing about. 3. Failure to conduct a real, criminal investigation of the IRS targeting of conservative organizations and to enforce the contempt citation issued by the House of Representative against Lois Lerner. QOTD: "...Common Core teaches about a third of algebra 1 in pre-algebra, a third of pre-calculus in algebra 2, et cetera. Common Core teaches unnecessary abstractions as essential principles. Common Core creates calculator cripples. Common Core fails to derive mathematical expressions, instead presenting them as Holy Writ. Hard-charging radio commentator Mark Levin is sick of waiting for the Republican Party to nominate a conservative for president, and today, he outlined his plan to accomplish just that. Speaking at the Values Voter Summit in Washington, the talk radio giant and bestselling author issued a call to action to the crowd of social conservatives, prescribing a grassroots movement to elect a conservative to the White House in 2016. 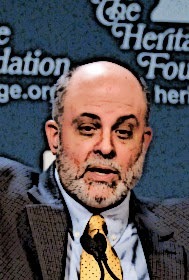 Levin lamented that Americans under age of 50 haven’t yet had the chance to vote for a true conservative such as Ronald Reagan for president and called on conference attendees to spend the next six months laying the groundwork for the 2016 election. Once that occurs, he said, the grassroots need to rally behind those candidates. Given the disastrous reign of Eric Holder at the Department of Obstructing Justice -- "the most partisan Attorney General in history" according to Sen. Ted Cruz -- it's worth remembering the Republican nitwits, sycophants and dupes who voted to confirm him. 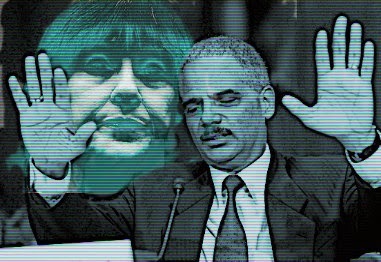 Holder was a known entity, a renowned Clinton hatchet man linked to the FALN Terrorist Pardon Scandal, the Marc Rich Pardon Scandal, and a panoply of other questionable, borderline criminal, and anti-American activities. There are some surprising names on the list -- and some unsurprising ones as well. Government debt continues to amass at a dizzying pace. The federal government has displayed no discipline in reining it in and reestablishing a more sound fiscal footing for the future of the country. Our founding fathers, however, had the prescience to include in our Constitution the means whereby the states, and the people, could force the government to do what they have no appetite to do, to require a balanced budget. 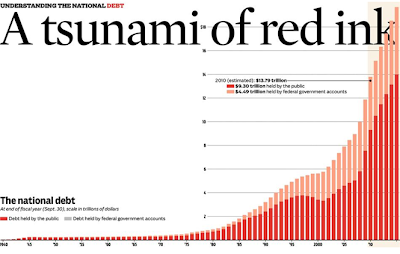 Just since 2006, federal government debt has shot from $6.7 trillion, to nearly $18 trillion. The largest segment of that spending occurred over the past six years with five years of deficits exceeding $1 trillion. Our government has been spending 60% more than it’s been collecting in tax receipts. Those figures do not even begin to address our long-term debt due to non-discretionary entitlement programs. According to the General Accounting Office’s (GAO) 2013 annual report, unfunded debt including Social Security and Medicare is over $76 trillion, an increase of 8% over 2012 levels. Our national debt increases by an estimated $8.2 million per minute, and about $350 billion per month. Miss a Payment? Good Luck Moving That Car: Yahoo! Image: @KLSouth: Liberal media are deliberately using old photos of #Oklahoma beheader. A photo from this month. 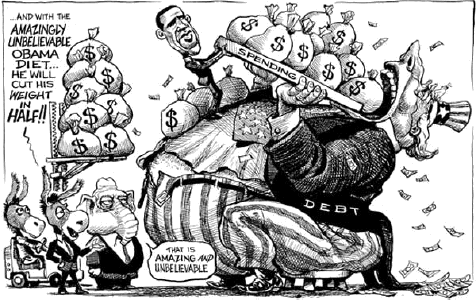 QOTD: "...all the major economies are saturated with debt. Accordingly, central bank balance sheet expansion has lost its Keynesian magic entirely. Now the great sea of freshly minted liquidity simply fuels the carry trades as gamblers everywhere load up with any asset that generates a yield or short-run capital gain, and fund these bloated positions with cheap options and repo style finance. An American president was launching bombs, dropping bombs on potentially innocent citizens. And where was the peace movement? Where were the peace protests? They were nowhere. I was told, "Well, that's because they're worn out from the weekend's activities protesting climate change." 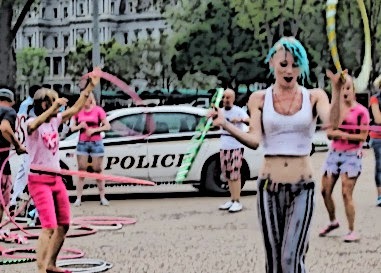 ... "According to the Washington Post, only 22 anti-war activists protested near the White House this week, and 'it was the latest display of how Obama has neutralized the left.' Left-wing activist David Swanson, 'who voted for Obama in 2008...' told the Post that 'if George W. Bush were launching wars with Congress out of town, oh, it would be flooded,'" and San Francisco'd be flooded. 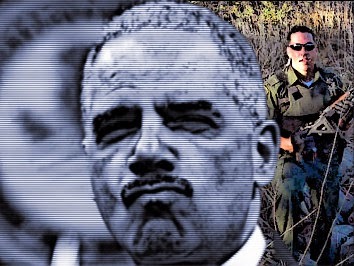 Scandal: The attorney general who oversaw the administration's Fast and Furious gun-walking operation into Mexico resigns right after a federal court denies a DOJ request to delay releasing Fast And Furious documents. 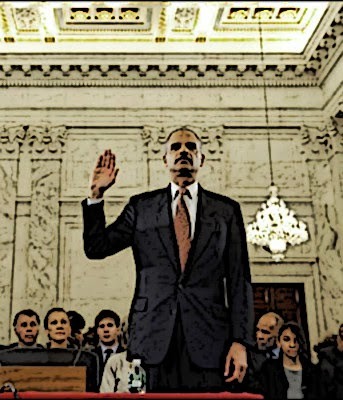 Eric Holder's resignation as attorney general, like anything that occurs in the Obama administration, raises questions of timing. Pundits ask why now, with some suggesting President Obama is getting a two-fer — ginning up his base with tributes to the first African-American AG before the midterms while starting the nomination and confirmation process before a possible Republican takeover of the Senate in November. Rush Limbaugh has even suggested that Obama, who in an effort to hold the Senate has reminded Democratic voters that he still gets to appoint Supreme Court justices, might be making Holder available for such an appointment should a vacancy occur. Both may be true, but Kelly Terry-Willis, the sister of Border Patrol Agent Brian Terry, thinks a recent court defeat for the Department of Justice may be the real reason. Her brother was murdered on Dec. 14, 2010, with weapons "walked" into Mexico under Fast and Furious. ICE Special Agent Jaime Zapata was also a Fast and Furious casualty. Alan Duke -- if that is his real name -- proffers the ludicrous CNN line for repelling a home invasion. 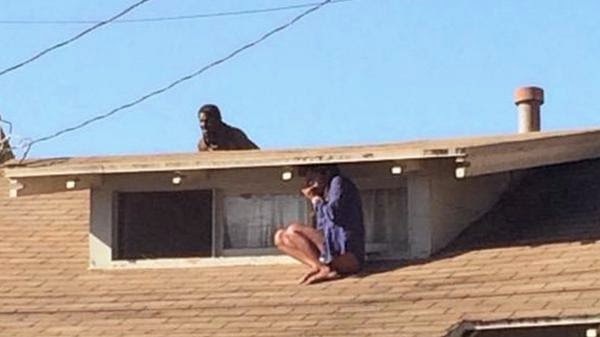 When Melora Rivera heard an intruder kicking the front door of her Venice, California, home Wednesday morning, her reaction was to jump out of bed and onto her roof. "Once I saw him in the house, I knew that we both couldn't be there," Rivera told CNN TV affiliate KCAL/KCBS. "I knew that I didn't want to have a confrontation with him of any sort, you know, not knowing what his intention was." Rivera, dressed only in a flannel shirt, used her cell phone to call police as the intruder also climbed onto the roof... "The drop is, I would guess, more than 20 feet," Rivera said. "So there was no safely jumping off the roof or coming down from the roof at that point." A more rational home defense system would involve one (or preferably all) of the following. 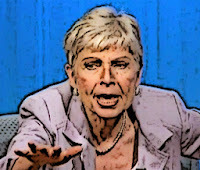 CONGRATULATIONS TO ELEANOR CLIFT: She Just Won MRC's Prestigious Media Lie o' the Year Award! The Media Research Center held its annual awards gala -- the 2014 Dishonors Award for media bias -- and one particularly pungent pundit took home the grand prize. 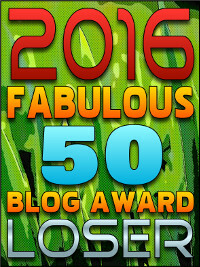 She beat out current and former MSNBCers Krystal Ball and Martin Bashir, respectively. He has made the Department of Obstructing Justice notorious. Federal judges are stepping in to end his stone walling of Congressional and other investigations on several fronts, and now he’s on the run. Why now? What is about to blow up? QOTD: "...the government argues that it must devote significant numbers of attorneys to this matter if it hopes to comply with the current Vaughn index deadline … But the Department has known about its Vaughn index obligations since July 18, 2014 … At best, it means the Department has been slow to react to this Court’s previous Order. At worst, it means the Department has ignored that Order until now. National Defense: The president launches attacks on the Islamic State with two weapons systems that were targeted for elimination by the administration years before their usefulness ended or any replacements were ready. The military whose budgets he's slashed and weapons systems he opposed is suddenly quite useful. 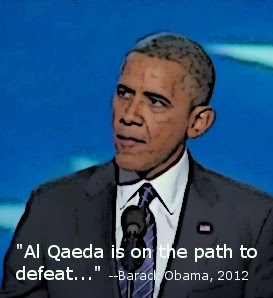 DECODING THE ADMINISTRATION'S LIES: "Khorosan" is Al Qaeda and it is most definitely not "on the run"
Obama’s approach to foreign policy is the stuff of fiction. He likes to say Al Qaeda has been destroyed and all that’s left are the metastasized rogue bands of terrorists acting independently of Al Qaeda Central. One band in particular is the Khorasan group. It’s been referred to as the old boys’ club. It is that. It is comprised of the Osama bin Laden followers from the 1990’s. They are not an affiliate, or an offshoot, or a franchise. They ARE al Qaeda and they follow the leadership of al-Zawahiri, Osama’s successor. They have been dangerous since 2009 and they have been unremittingly dangerous. They were responsible for the underwear bomber, the Christmas Day bomber and many other bombings. They didn’t become dangerous yesterday, last month or even last year. They’ve been dangerous since Barack Obama became president and they have been dangerous the entire time Obama said al Qaeda was on the run. 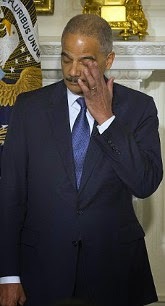 Eric Holder's Resignation Comes on the Heels of a Devastating Ruling Against Him on "Operation Fast and Furious"
Image: Our Reluctant Warrior: Obama Discovers the Guns of Autumn. Reluctantly. QOTD: "Then came the 2014 Republican primary season and a scorched earth campaign by the U.S. Chamber of Commerce, Republican establishment, Rove’s Super-PACs and their Big Business allies which by-and-large achieved primary victory for the candidates they backed. So Rove and his Big Business donors got what they wanted – candidates who either stood for policies, like amnesty, that grassroots conservatives oppose, or who avoided the issues and like Mitt Romney campaigned on their resumes. What Rove doesn’t seem to understand is that those missing millions that he thinks Republican candidates need to win their 2014 Senate campaigns have already been given to candidates like Chris McDaniel, Joe Carr, Dr. Greg Brannon, Dr. Milton Wolf, Frank Roche and Dave Brat who stood for the positions that grassroots conservative donors favor. These small donors oppose amnesty for illegal aliens, they favor a strong national defense against radical Islam and respect for the constitutional role of Congress in war-making, and they want an end to the culture of government lies created by Barack Obama and his Democratic allies on Capitol Hill.